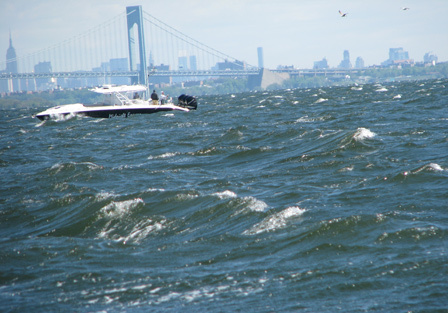 Is this what a picture from a New York waterway is going to look like once the Recreational Marine Fishing License is mandated in two weeks? If the nominal fee of $10 rapidly increases like the State of California's marine license, who knows for certain? Last Wednesday, I opened my mail to a letter requiring already licensed party and charter boat operators for the State of New York to purchase an additional license they call the Recreational Marine Fishing License. It costs $400. states to create extra revenues through existing saltwater fisherman.